Like beer? But have you tried sours yet? We couldn’t resist aging Modern Times Order of Hermes sour beer. 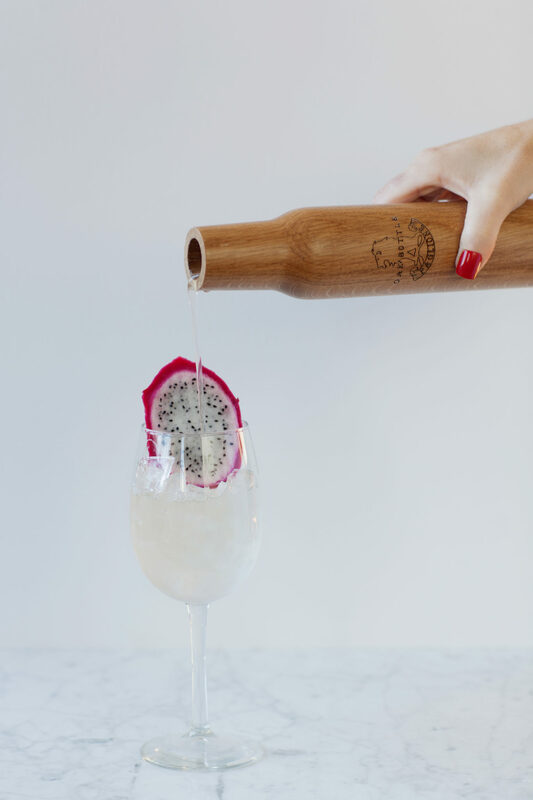 Before aging, you really taste notes of passionfruit and pineapple, but post- Oak Bottle aging and now you’ll detect rich dragonfruit with a creamy mouthfeel. In a chilled beer or large wine glass add ice, bitters and pour beer over. Top with kombucha and garnish with dragon fruit slice.